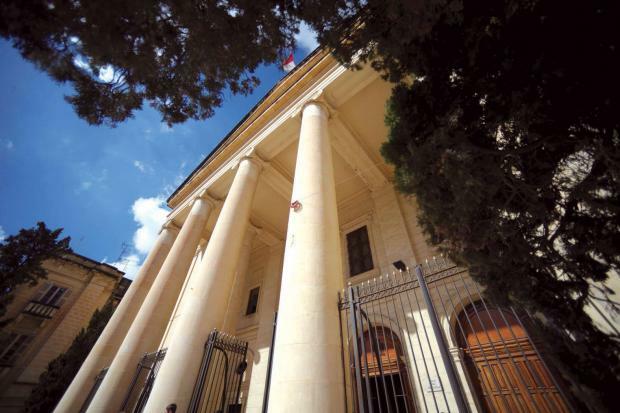 A Malta Shipbuilding worker, has been awarded €38,214 by way of damages after the court said a workplace injury 12 years ago was due to the company’s failure to provide a safe system. Mark Grech Mallia had been employed by the company for 25 years, the last 14 as shipwright tradesman, when the incident occurred in 2005. On May 5, Mr Mallia and a number of colleagues were working inside the Marsa site workshop when the metal hook of an overhead crane, operated by one of the men, hit a large metal beam. This was sent crashing down onto Mr Mallia whose left leg was trapped under the heavy structure. The man was rushed to hospital where he was certified as suffering from grievous injuries. After a 12-day period of recovery in hospital and a year-long break from work, the employee returned to his workplace but was assigned duties as storekeeper. The accident left him with a 7% permanent disability and a lingering pain which resulted in limited mobility. In 2009, Mr Mallia accepted the offer of early retirement and took up work as a driving instructor. The company and the worker who had been operating the crane at the time of the incident were sued for damages. The First Hall, Civil Court, presided over by Madame Justice Anna Mallia, dismissed the applicant’s claim against his fellow worker, but declared that their employer was to be held responsible since it had failed to provide a ‘safe system of work’ for its workers. The crane had been too close to the workmen while being operated, the court observed. Mr Mallia had, moreover, explained that he had not realised that the machine was in operation since it operated without any noise. The court further noted that the company had not taken the necessary measures to ensure that the metal beam was firmly secured. The possibility of it being dislodged, though apparently remote, had in fact occurred and it was only after the accident that the beam was fixed in place. While declaring that there had been no contributory negligence on the part of the worker, the court declared Malta Shipyards Ltd responsible for the incident, ordering it to pay €38,214.76 by way of damages to its former employee.